George Lowden built his first "guitar" at the age of ten. “My friend Alan French and I made two "guitars" with the help of his dad, who was a boat builder in Groomsport, County Down. The "guitars" had fishing line for strings, bent over nails for frets, and a square soundbox!!”. Years passed since that day and the Lowden name became one of the main names in Acoustic guitar making. Throughout the years Lowden guitars were manufactured in Ireland and Japan, under several ownerships until the year 2004, from which, Lowden guitars are built by George Lowden and his family, in a business that is owned by them. Lowden Guitars are without a doubt some of the finest acoustic guitars on the planet! 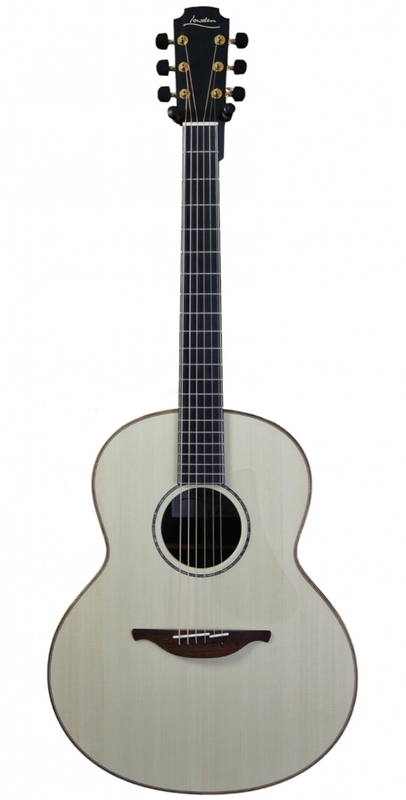 Their distinctive, rich tone makes Lowden guitars really one of a kind. The Wee Lowden 50 is an incredibly loud and full sounding small guitar. The 50 Series is known as the Lowden Custom shop series where clients can mix and match woods as they like. It is a series where unique and breathtaking guitars are born. The WL-50 that came for demos featured Mahogany back & sides, Sinker Redwood top and is capable of producing a massive sound with a balanced tonality that can fill a room with ease. 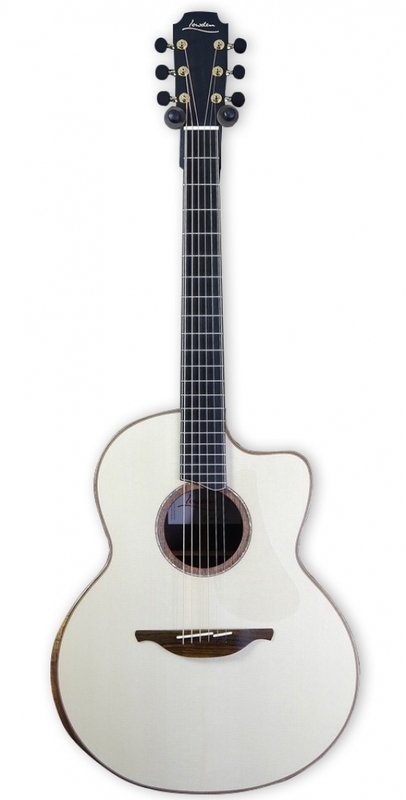 It is an extremely responsive guitar with wonderful highs and steady bass. The craftsmanship on the WL-50 is as always with Lowden, remarkable. A Master grade guitar for the master player! Lowden's premium series is where ultimate guitars are born. The F-50c Bastone Walnut / Alpine Spruce we received is by all means a great example of Lowden's attention to the most delicate details and premium craftsmanship. The Walnut back&sides on it are dazzling, there is no other way to put it, so is the Maple bevel. The guitar plays effortlessly and has an extremely well defined and balanced tone. The depth and projection of this guitar cannot be expressed with words. We felt that the F-50c is a perfect guitar for the single, virtuoso acoustic guitar player or the solo singer songwriter, as this guitar needs and deserves space to shine. A Master grade guitar for the master player! Lowden's premium series is where ultimate guitars are born, the F-50 African Blackwood / Sinker Redwood we received, like all 50 series guitar, came from there. First impression right after opening the hardshell case is already an experience, the woods and craftsmanship are screaming out this is a special guitar! The African Blackwood is one of the most beautiful tone woods out there, and the pieces Lowden use for the 50 series are the top of the top as they hand select each one. 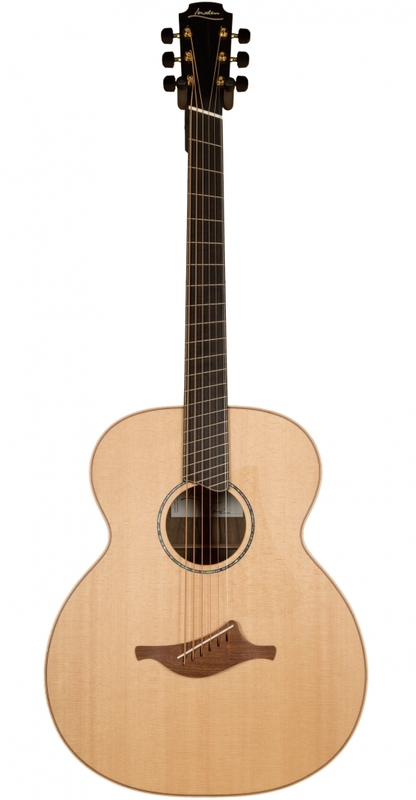 The F-50 AB/RW is definitely the Lowden that left us in awe. Exquisite Chechen Rosewood and Alpine Spruce make this WL-35 impossible to resist to. The depth and projection on the Lowden WL-35 Chechen Rosewood / Alpine Spruce makes it a fantastic parlor-sized guitar which can very well rival bigger bodied acoustics guitars. The response of it is relatively fast and the playability is superb, but it is not the most forgiving guitar as one can hear every little nuance played. The WL-35 is an elegant guitar, the wood combination is somewhat familiar (Spruce/Rosewood) but Lowden's choice of woods and grades is what makes the difference between this one and the rest. 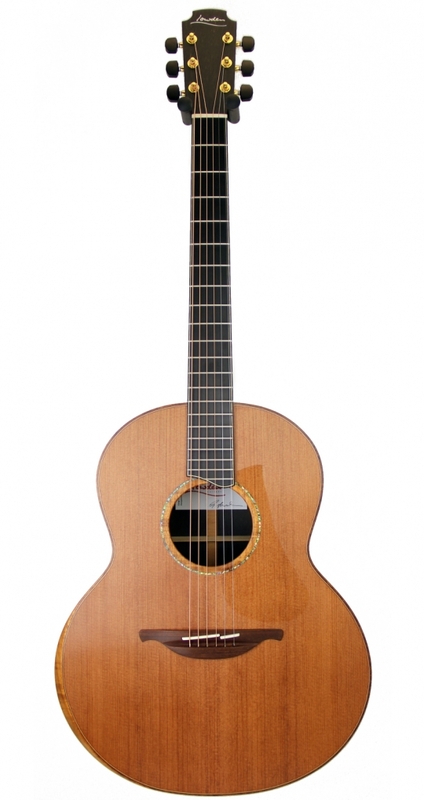 The Lowden S-25 is considered by many as an excellent concert size guitar for the fingerstyle guitar player. The Original Series is dated to 1976 and considered by many as THE Lowden. The S type is a concert (O) bodied six string acoustic guitar with a simple yet powerful wood combination and a sweet tone. The Cedar / Rosewood combination creates a responsive and warm sounding guitar which is heaven to the fingerstyle player. The guitar has a well defined lows despite of the small sized body which will surprise you. It is reach in overtones and really a joy to play. Unlike other Lowden guitars the S-25 looks fairly simple, but make no mistakes, it is a powerful, excellent acoustic guitar. With only 30 pieces ever made, the Lowden limited edition winter 2017 collection guitars are both rare and inspiring. Immediately after opening the case of the F-35 Limited edition winter 2017, shock and excitement filled the air. It is without a doubt a truly beautiful instrument made from a fine selection of woods. Lowden chose for the back & sides Bog oak wood and for the top Lutz Spruce. The Bog Oak is not just a random one but actually 5300 years old ancient Bog Oak and the Lutz Spruce are master grade pieces. For the binding Lowden chose figured Tasmanian blackwood and the neck is constructed from cherry and walnut.The sound characteristics of the F-35, thanks to the choice of woods and body size is deep and rich with healthy projection and clarity. It is a work of art. The S-50 Koa / Sinker Redwood is Lowden's custom shop at it's best. The 50 Series is known as the Lowden Custom shop series where clients can mix and match woods as they like. It is were a series were unique and breathtaking guitars are born. The S-50 that came for demos featured Koa back & sides and Sinker Redwood top. Falling in love with it did not take much, it was love at first sight. The Concert sized guitar filled the room with an accurate, warm, soothing tone on the touch of a finger, it is a little less bright than the spruce toped Lowden guitars we demoed, making it perfect for finger style jazz and ballads. The Lowden S-35 Madagascar Rosewood / Alpine Spruce is a story of a superb wood combination meets the superb craftsmanship. Story is a good word to describe the S-35 model by Lowden, as these guitars really tell a story. In their tone they have love,compassion, boldness and aggressiveness all together.The S body type combined with the wood choice on the S-35 MR/As creates a responsive guitar with slight emphasis on the higher mid range which is sweet for finger picking and hybrid picking. The guitar reacts well to dynamics and the sound spread is multi-dimentional. As mentioned, we fell in love with the S-35 when playing finger style but of course you can play any kind of style with it, check the demos to see how it reacts. 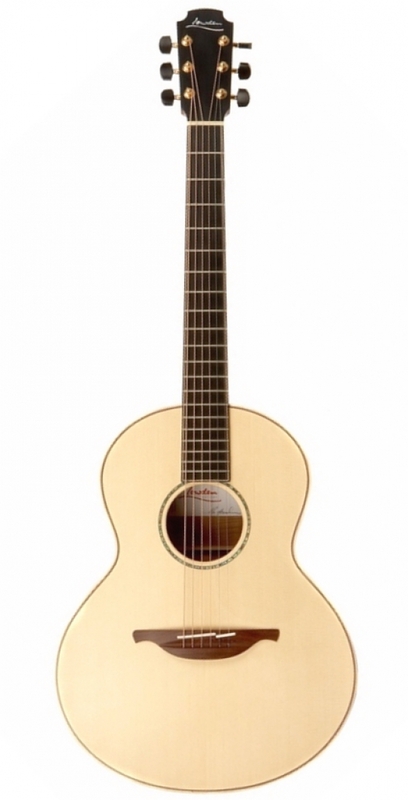 The sweet deep sound of the Lowden BAR-35 will spark your emotions! It is without a doubt a breath taking guitar. 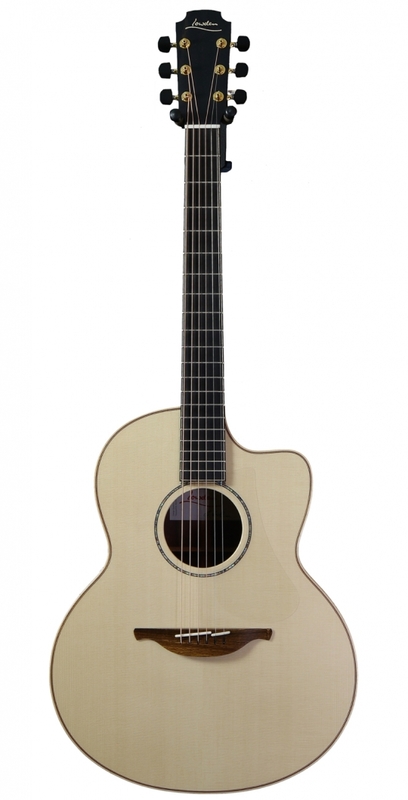 The deep and sweet tones of the Lowden Baritone 35 are really something special, it is a soothing guitar. The big body and longer neck look intimidating at first, but once you lay your hands on it the music begins effortlessly. The fan frets of course add to the comfort and playability. The AAAA Spruce and Walnut tone woods have nice patterns and all in all the BAR-35 f/f is a good looking Baritone guitar. Sound words really cannot tell the tale of the BAR-35. We suggest putting a pair of quality headphones and drift into a dream with the Lowden BAR-35 demos.